Arkansas, Georgia and Kentucky hold primaries Tuesday, Texas holds runoffs. The Democratic Party is still getting its footing this primary season in its quest to capitalize on a favorable political environment and retake the U.S. House, U.S. Senate, and governorships across the country this November. When voters in Arkansas, Kentucky, Georgia and Texas head to the polls Tuesday, some of the more contentious battles Democrats have been fighting this year will finally be settled. The results will provide insights into a key debate within the Democratic Party as the midterms draw near: should the focus be on inspiring the base or winning over independents? Expensive and high-profile primaries for U.S. House seats have been raging from suburban Houston to central Kentucky to the same Georgia district where Democrats narrowly failed to flip the seat that once belonged to President Trump's former Secretary of Health and Human Services -- Tom Price. (Tom Williams/Getty Images) Rep. Karen Handel, R-Ga., is interviewed in her Longworth Building office on Dec. 11, 2017. In Texas, runoff elections for a number of competitive U.S. House seats will be settled, including in the three GOP-held congressional districts Hillary Clinton captured in the 2016 presidential election. Observers will likely keep the closest eye on Texas' 7th Congressional District -- where Democrats Lizzie Pannill Fletcher and Laura Moser will square off one last time in a race marred by clumsy meddling by the campaign arm of national Democrats. (Michael Stravato/The Washington Post via Getty Images) Laura Moser picking up her campaign materials at a print shop in Houston, May 22, 2017. 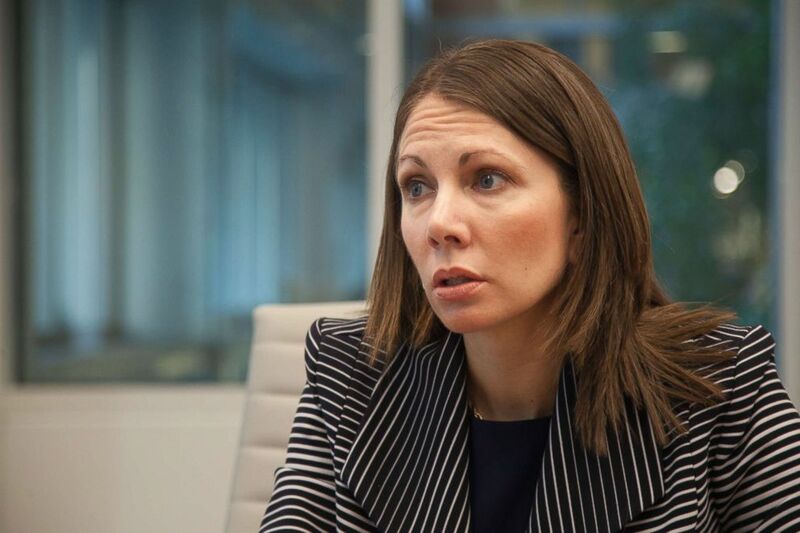 Moser is returning to Houston from Washington where her husband worked for the Obama White House, and is starting her effort to run for the 7th Congressional District in Texas currently occupied by Republican John Culberson. Also in Georgia, a state national Democrats have been trying to turn blue on the presidential level in recent years, the gubernatorial race highlights tensions in both parties, with Democrats divided between two women with the same first name and Republicans grappling with ultra-conservative candidates talking up their conservative credentials and undying loyalty to President Trump. With crowded primaries aplenty, many races in the state are expected to move to runoff elections in July. Here is a closer look at some of Tuesday's key races. All eyes were on TX-07 in the state’s March primary and the outcome of the runoff will continue to be a crucial barometer of the sentiments of Democratic voters. In Houston’s 7th Congressional District, Democrats are hoping to flip a House seat the GOP has held for 50 years in a district that is at the center of immigration, changing demographics and hurricane reconstruction. It’s one of three districts that Clinton marginally won in the 2016 election which has led it to be a top target amongst the Democratic party. 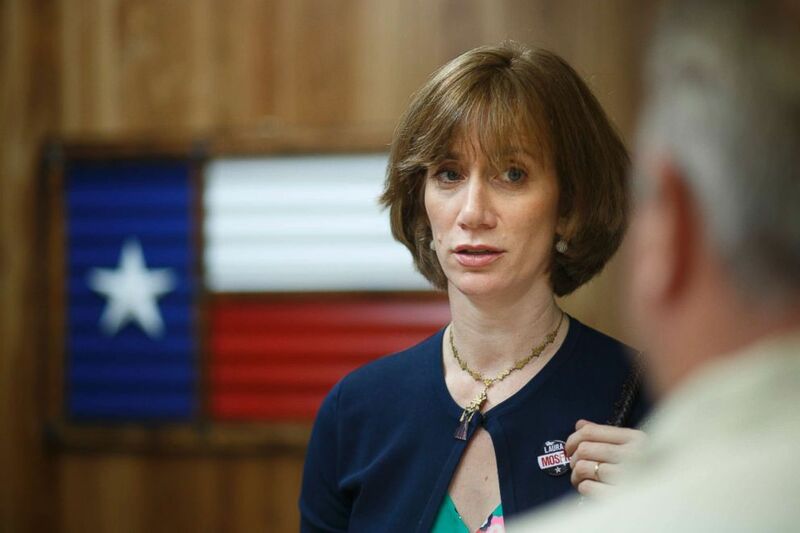 TX-07 Two democrats – former journalist Laura Moser and lawyer Lizzie Pannill Fletcher – will go head to head in the May runoff in hopes of unseating Rep. John Culberson, who is running for re-election. The organization also cited an article in which she reportedly stated she would rather have her teeth pulled out without anesthesia than live in Texas, a comment Moser says was taken out of context. Despite the attacks, Moser advanced in the runoffs. “In an electorate where many people were voting as much to cast a vote against President Trump as to choose a nominee, Moser served as a great vehicle for that protest,” Rice political science professor Mark Jones said. This race exemplifies “the growing civil war within the Democratic party nationally,” Jones explained. (Courtesy of the Campaign) Lizzie Pannill Fletcher, candidate for the 7th congressional district of Texas, is seen here. Since then, it seems the DCCC has quieted its attacks. “It seemed to many voters here, both Fletcher and Moser supporters that it was unjustified,” Stein said. While the organization has identified the district as competitive they have not backed a specific candidate in its “Red to Blue” program which sets out to arm candidates with organizational and fundraising support. Moser is seen as a Democrat who will promote and advocate for a progressive agenda while Fletcher is more to the center. Many Democrats are worried that if Moser advances past the runoff, her views are too progressive to win against Culberson in the November election. “If Democratic voters are inclined to vote with their hearts and vote for Moser, they’re likely to undercut their ability to defeat John Culberson in the fall. If voters vote with their head instead of their hearts then they’ve increased their possibility of defeating John Culberson in November and eventually helping Democrats retake the majority in the House,” Jones said. But Moser sees it differently “I believe if you stand strong on progressive values you will get more people to the polls,” she told ABC News following the DCCC’s attack. Another thing to watch in this district is how much the recent shooting at Santa Fe High School will drive voters to the polls. “More than half of the votes in the runoff have already been cast,” Jones pointed out. While early voter turnout was high leading up to the primary, political analysts are only expecting six percent of registered voters to participate in the runoff. Regardless of which candidate takes the race – a woman will be challenging Culberson in the fall highlighting the so-called “pink wave” and spike in female candidates running for office. “We have an unprecedented amount of women competing for high profile positions on the Democratic side. It’s pretty much business as usual on the Republican side with a scattering of women no real increase and also a pretty small number,” Jones said. Regardless of the winner in Georgia's Democratic primary for governor on Tuesday, history will be made when the party nominates its first female candidate for governor in the state's history. It just so happens that that woman will have the same first name no matter who comes out victorious. Stacey Abrams, the African-American former Minority Leader of the Georgia House of Representatives, has been locked in a tight battle with former Georgia State Representative Stacey Evans, who is white. Abrams has the support of a number of prominent black political leaders in the state, including U.S. congressmen John Lewis, Hank Johnson and David Scott. Abrams also has the backing of U.S. Senators Bernie Sanders of Vermont and Kamala Harris of California, and Hillary Clinton recently recorded a robocall in support of her according to the New York Times. (Thomas McKinless/Getty Images) Stacey Evans, candidate for governor of Georgia, is interviewed in Washington on Nov. 30, 2017. The daughter of a poor, single mother, she went to college using a popular state scholarship granted to every Georgia high-schooler who graduates with a B average, Evans has portrayed herself as the more centrist option in the race. She has the backing of Atlanta Mayor Keisha Lance Bottoms, former Atlanta mayor and U.N. Ambassador Andrew Young, and Elaine Lucas, whose husband David is the longest-serving member in the Georgia General Assembly. On the Republican side, Georgia Lt. Gov. Casey Cagle has been the presumptive front-runner for months but is also fending off insurgent primary challengers who have embraced President Trump and are offering up heaps of red meat to Georgia Republican primary voters. State Senator Michael Williams has been making noise by driving around the state in a "Deportation Bus" to show his support for Trump's immigration policy, while Georgia Secretary of State Brian Kemp is airing ads highlighting his support for the Second Amendment, much to the concern of one young man who is interested in dating Kemp's daughter. (David Goldman/AP) Georgia Lt. Gov. Casey Cagle speaks during a memorial ceremony on the first day of the legislative session at the state Capitol in Atlanta, Jan. 11, 2016. Cagle made national news with his forceful response to Delta Airlines' decision to end its relationship with the National Rifle Association. 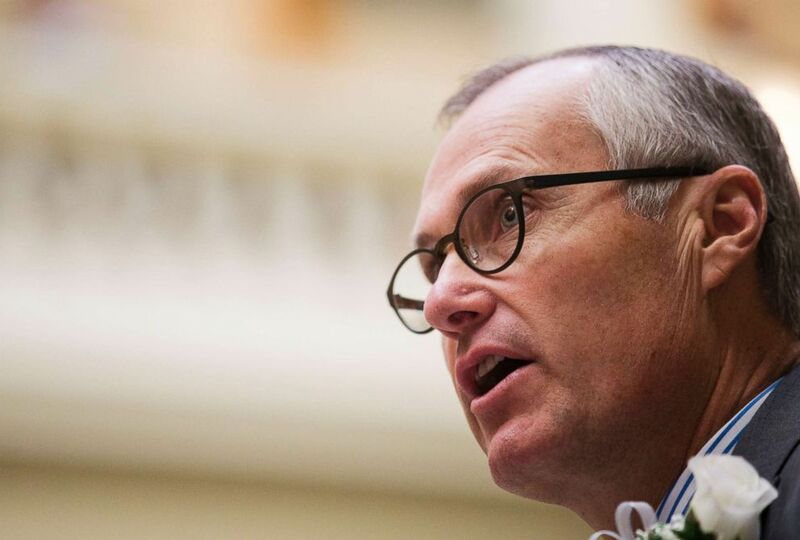 In response to Delta's move, Cagle threatened to end a tax break for the company, which is based in Atlanta. 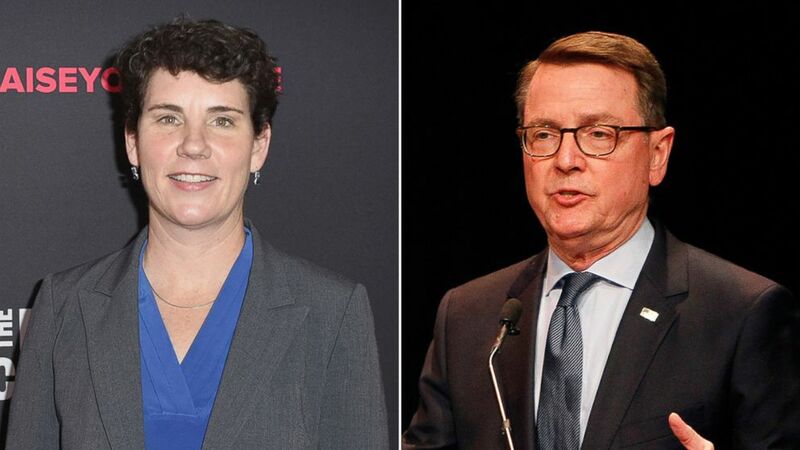 Openly gay Lexington Mayor Jim Gray and former U.S. Marine fighter pilot Amy McGrath have been fiercely battling to lead the party's push into redder districts and potentially unseat GOP Congressman Andy Barr in this central Kentucky district. McGrath burst onto the national political scene with her campaign announcement video that highlighted her barrier-breaking career as the first woman to fly an F-18 in combat. Gray has the benefit of being a known commodity to 6th Congressional District voters. He has been the Mayor of Lexington since 2011 and ran statewide in 2016 in an unsuccessful bid against Kentucky GOP Senator Rand Paul. The candidates have sparred over who is the "establishment" pick in the race. While the national party has not officially weighed in on the race, McGrath has attempted to portray Gray as the party's preferred choice. Gray calls claims that he is the "establishment" candidate in the race "delusional." While Gray may be familiar to voters in the 6th district, LGBTQ individuals make up just 1.3 percent of Members of Congress, according to Nathan Gonzales, the Editor and Publisher of Inside Elections, a non-partisan outlet that analyzes U.S House, Senate and gubernatorial races. In the last days of the campaign, Gray has launched a TV ad painting McGrath as a carpetbagger who has never lived in the district. Gray also told ABC News in an interview last week that McGrath's large amount of out-of-state campaign donations indicate that she is "new to Kentucky." Immigration is taking center stage in Texas’ 23rd Congressional District which stretches from San Antonio to the Mexico border immigration. Rep. Will Hurd, who won reelection in 2016 by only 1.3 points, has earned a reputation for bipartisanship and working across the aisle, including with Rep. Pete Aguilar, a Democrat, on "Dreamer" legislation. 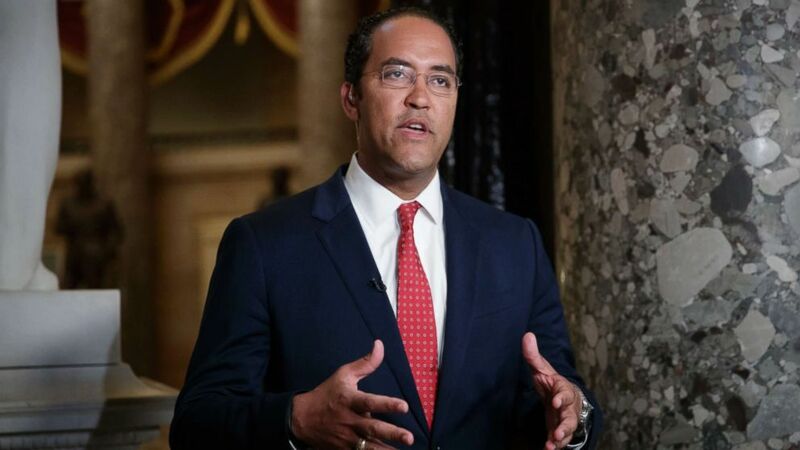 (J. Scott Applewhite/AP) During a TV news interview, Rep. Will Hurd answers questions about immigration, border security and time running out to rewrite a trade pact with Canada and Mexico as negotiations stall on the North American Free Trade Agreement, on Capitol Hill in Washington, May 18, 2018. Gina Ortiz Jones, a gay Air Force veteran, is looking to defeat Rick Treviño, a progressive teacher in the Democratic runoff. If she succeeds she would become the first Filipina-American congresswoman. Ortiz Jones has outraised Treviño $1.2 million to $49,000. While she didn’t garner more than 50 percent of the vote in the primary, she did beat Trevino 41 percent to 17 percent. This suburban Dallas district represented by longtime GOP Rep. Pete Sessions is the third and final district Hillary Clinton managed to win in the 2016 election. Sessions has held the seat since 2003, and the House Rules Committee chairman has proved himself a prolific fundraiser and strong campaigner over the years. Former NFL player Collin Allred, who is part of the Democratic Congressional Campaign Committee's (DCCC) "Red to Blue" program for top-tier candidates, is hoping to defeat former Obama administration Agriculture Department staffer Lillian Salerno. 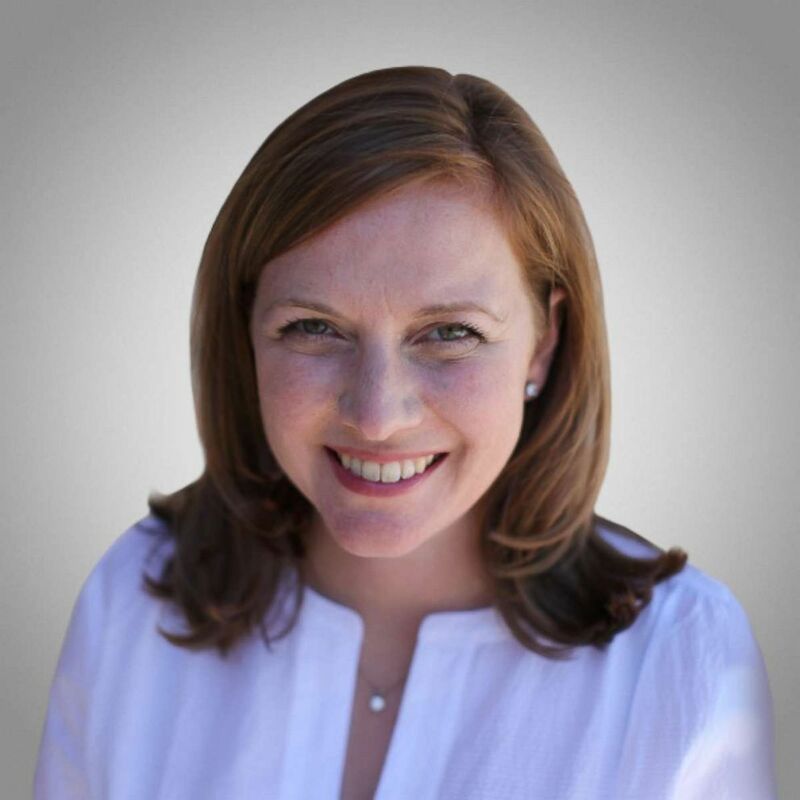 Salerno is endorsed by EMILY's List and is hoping to join the field of 12 women that already advanced to November during the first round of primaries back in March. Onto the race for governor in the state. Incumbent Gov. Greg Abbott won the Republican nomination for governor. 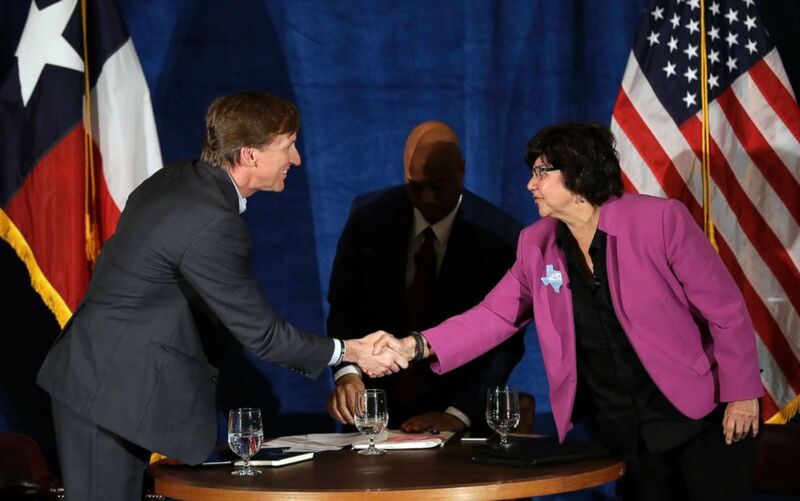 Democratic candidates Lupe Valdez, a former sheriff who identifies as a gay Latina and Andrew White, the son of former Gov. Mark White. “Andrew White comes from a much more conservative part of the Democratic party. Most people like Andrew White are Republicans in Texas not Democrats,” Jones said. As White has tried to move more towards the center, it’s not sticking with Democrats, Jones explains. “He has not convinced the Democratic elite who are sticking with Valdez,” he said. (Eric Gay/AP) Texas Democratic gubernatorial candidates Andrew White, left, and Lupe Valdez, right, shake hands following their debate, May 11, 2018, in Austin, Texas. Valdez received 43 percent of the vote in the March primary but political analysts say she has been garnered little support from editorial boards in the state. “All of the major editorial boards who want to support somebody like Lupe Valdez simply could not endorse her because she doesn’t have a grasp of the public policy challenges facing Texas,” Jones said. Eight members of Texas' congressional delegation decided not to seek re-election to their seats this cycle, which resulted in an influx of candidates in red and blue districts alike. But even in longtime Republican seats, like the state's 21st Congressional District where GOP Rep. Lamar Smith is retiring, Democrats see an opportunity to expand the 2018 battleground and put more seats in play. Both parties are facing runoffs in the 21st district. Democrats are choosing between Army veteran and tech entrepreneur Joseph Kopser and social justice activist Mary Street Wilson. Wilson narrowly edged Kopser in the first round of primary voting, but Kopser has massively outpaced her in fundraising. According to FEC records, Kopser has raised nearly $1.2 million this cycle, while Wilson has failed to top $100,000. The Republican race is between Chip Roy, a former Chief of Staff to Texas GOP Senator Ted Cruz, and perennial candidate Matt McCall. Another open seat to keep an eye on is the state's 27th Congressional District. The seat is currently vacant after GOP Rep. Blake Farenthold stepped down amid sexual misconduct allegations, and a June special election in the Corpus Christi congressional seat was called by Texas Gov. Greg Abbott. Tuesday's runoff is to decide candidates for the November general election but may give an early indication as to which candidates are in the strongest position heading into the summer. Democratic Rep. Sanford Bishop has represented this southwestern Georgia district (that is also the home of former U.S. President Jimmy Carter) in Congress since 1992, is not expected to face a serious race in November. However, Bishop's likely Republican opponent sports a familiar last name to political observers in the south. 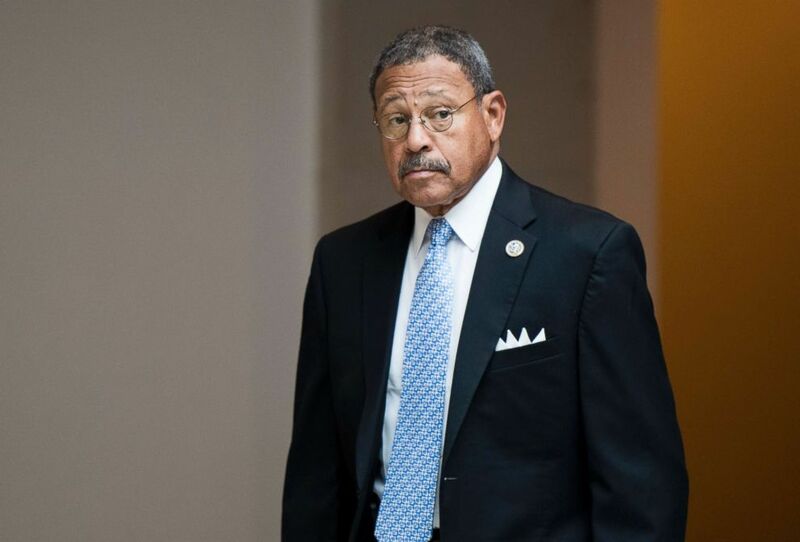 (Bill Clark/Getty Images) Rep. Sanford Bishop, D-Ga., arrives for the House Democrats' caucus meeting in the Capitol on Nov. 7, 2017. Herman West, Jr., a pastor and U.S. Marine Corps veteran, is the brother of former Florida Congressman and conservative firebrand Allen West. Like his brother, West does not shy away from embracing staunchly conservative positions on social and economic issues. "We cannot continue to allow others to dictate our destiny. It is time for all of us, like the Phoenix, to rise up from our mental ashes," West writes on his campaign website, "Together we must rebuild our lives to make this district great again." Democrats are eyeing the 6th Congressional District, situated in the affluent suburbs north of Atlanta, as a possible pickup opportunity in 2018. Incumbent GOP Rep. Karen Handel narrowly won a 2017 special election over Democrat Jon Ossoff. 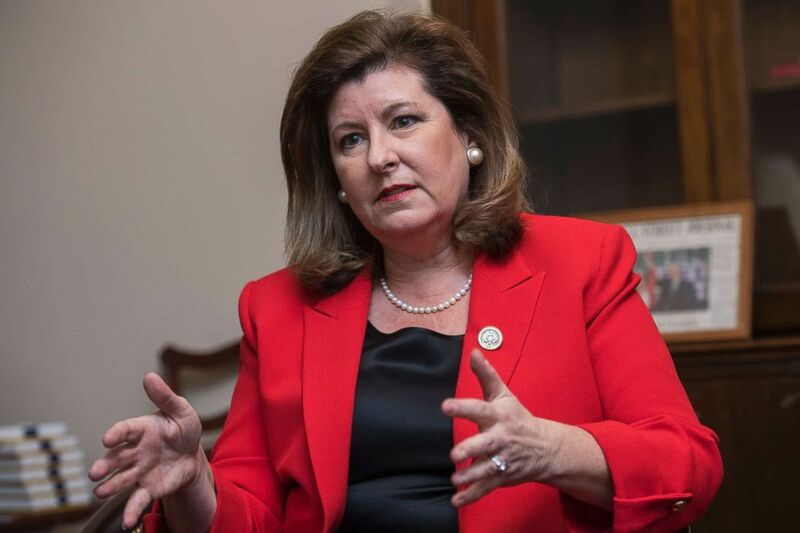 Handel now faces a potentially tougher race in a year where Democrats have begun to translate their motivated base into electoral progress, winning a special election in Pennsylvania and narrowing the gap in deep red districts across the country. 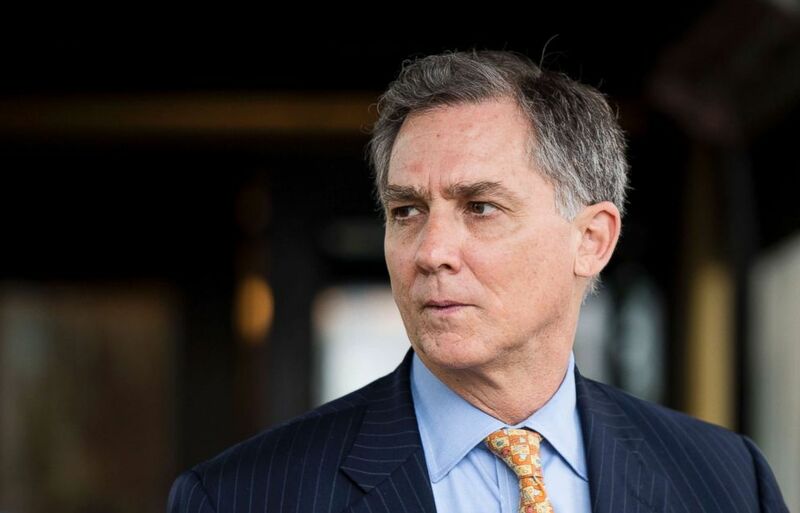 Four Democrats are hoping to nab the nomination — former TV news anchor Bobby Kaple, businessman Kevin Abel, businesswoman and social justice activist Lucy McBath and management consultant Steve Knight Griffin. Kaple has the endorsement of Congressional Black Caucus Chairman Cedric Richmond of Louisiana, and numerous prominent Democrats in the state, while McBath — who lost her son to gun violence in 2012 and is an activist for gun control — has the backing of EMILY’s List. Everytown for Gun Safety recently placed a $540,000 ad buy in support of McBath, who is a national spokeswoman for the organization, hoping to boost her chances of heading to a July runoff. The other suburban Atlanta district held by a Republican in Congress, the state's 7th district is the site of another competitive and crowded Democratic primary. Six Democrats are vying for the nomination to try and unseat GOP Rep. Rob Woodall. Georgia State University professor Carolyn Bourdeaux has the endorsement of EMILY's List, an outside group that supports female candidates for office and has found considerable success in Pennsylvania and elsewhere this cycle. Bourdeaux's main opponents on Tuesday include businessman David Kim and attorney Ethan Pham, who have raised $755,000 and $362,000 this cycle respectively, according to Federal Election Commission (FEC) records. While Arkansas' Republican Governor Asa Hutchinson is up for re-election this year and facing a primary challenger, most expect him to cruise through the fall in this deeply red state that backed President Trump by 27 points in the 2016 presidential election. The only race expected to be competitive this cycle is in the state's 2nd Congressional District, where national Democrats are eyeing the Little Rock-based seat currently held by GOP Rep. French Hill. The Democratic Congressional Campaign Committee (DCCC) has added State Representative Clarke Tucker to the "Red to Blue" program for top-tier candidates in a sign that they believe he is their best shot to flip the seat and add another ripple to the "blue wave" that could sweep them back into power in the House. Clarke has raised over $600,000 according to filings with the FEC, further bolstering the argument that he is in the best position to beat Hill in November. (Bill Clark/CQ Roll Call/Getty Images) Rep. French Hill, R-Ark., leaves the House Republican Conference meeting at the Capitol Hill Club, May 16, 2018. Tucker faces a trio of more liberal primary challengers, including two teachers in Gwen Combs and Paul Spencer.